All Sweden’s housing in one place. The Habity app shows all Sweden’s homes, whether for sale or not, to make it easier to buy, sell and also manage your home. 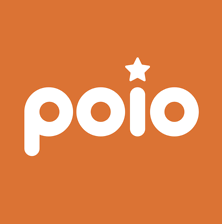 Poio is an Edtech startup that offers a new and revolutionizing way of teaching kids how to learn to read. Harvest is a Fintech startup that offers a robo managed fund to consumers. 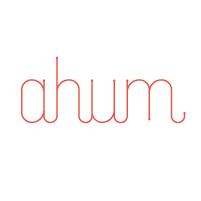 Ahum is a marketplace within digital health. Aiming to make psychological help more accessible to all and creates a better match between customer and therapist than any other player in the market. Yepstr is a marketplace where young people can find their first jobs and start building a career. Hygglo is a marketplace for renting and renting out items, empowering consumers to consume smarter. Bynk is a mobile bank with an initial focus on consumer loans. Hypoteket disrupts the mortgage market by offering competitive consumer products financed by institutional investors. GoodOnes is a dating app where all users are verified through BankID. 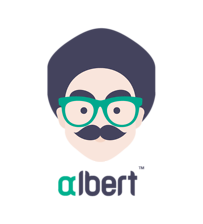 Albert is a service that helps educate children in math and provides indiviudalized an tailored tutoring enabled by AI. Styletime is a marketplace for hair- beauty- and wellness, with a free booking system for salons. The product has been developed by Let's deal Norway, and has ambitious growth plans in the Norwegian market. Vinguiden.com is Sweden's leading marketplace for wine and offers over 200,000 Swedish consumers guidance on selection, collection and purchases of wine through digital platforms and on social media. Eiendomsmeglerguiden.no helps Norwegian consumers find a real estate agent in their local neighborhood, by presenting local sales statistics, user reviews and presentations of the real estate agents. Kudoz's objective is to simplify and speed up the mobile recruitment process. Targeted at the general public and more specifically at executive-level staff who already hold jobs, Kudoz allows possible job opportunities to be monitored. Candidates are receptive to this innovation: in one year, Kudoz has already won over more than 100,000 users and is the top-rated application in France on the iPhone and Android. 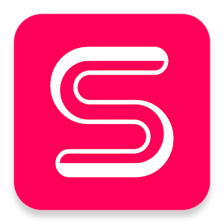 Snapsale is an app that radically simplifies the process of buying and selling used stuff. The app was launched in 2014 and Schibsted invested the same year. Monsieurdrive.com allows consumers to shop online at local hypermarkets. Consumers compose their basket, check availability and prices in different shops and checkout at the shop of their choice. This new shopping method is currently used by nearly 30% of French households. 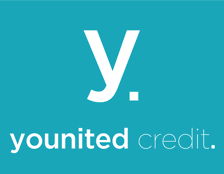 Younited Credit is a “peer-to-peer” lending marketplace, that matches borrowers looking for consumer loans with individual investors willing to optimize their returns through a user friendly and transparent online platform. 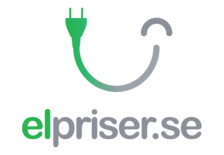 Compricer.se helps consumers to compare prices and conditions for financial services such as consumer loans, mortgages, credit cards, savings as well as for insurances, utilities, telecom services and more. Bokavård.se is a marketplace for consumers and health care providers and offers a simplified way of finding the right care solution for individuals. KickBack is an e-commerce performance marketing platform helping consumers save money and retailers selling their products online through voucher codes, cashback and content marketing. KickBack's technology is behind Aftonbladet Rabatkod (https://www.aftonbladet.se/rabattkod/) in Sweden, Jyllands Posten Rabatkoder (https://jyllands-posten.dk/rabatkode/) in Denmark, Rzeczpospolita Kody Rabatowe (http://www.rp.pl/kod-rabatowy/) in Poland and VG Rabattkoder (https://www.vg.no/rabattkode/) in Norway. Fakturabörsen is an innovative marketplace where SME's can sell their invoices (accounts receivable) to professional financial investors such as hedge funds, investment companies and other institutional investors. In this way SME's receive financing in 24 hours with a 30-50 % p.a. lower rate than with traditional factoring. MittBolån.se is a free service that helps consumers find the right mortgage before buying a property or when renegotiating an existing mortgage. Matpriskollen was founded in 2010 and launched in 2012. And has since helpsed conumers keep track of FCMG pricing through providing tools for seeing the latest offers and shop smarter in local grocery stores by using their smartphones. Husleie.no offers consumers a full-service for renting out thier homes to third parties. Bokon offers consumers digital books that can be consumed across all digital platforms as e-books as well as audio books using Bokon. Owners include Schibsted, Piratförlaget and Dem oberoende. Mobilio is a digital service that helps consumers to compare, choose and order the mobile subscriptions best suited to their needs. FlexiDrive.se is a digital marketplace that provides car owners with a safe way of letting out their car and generating income and drivers with a wider option of cars, on more locations and to lower prices. ServiceFinder is an online marketplace for services where consumers and service providers can take advantage of the great matchmaking abilities of the Internet. The business model rests on the sale of leads to prescreened affiliated service providing companies. Each year ServiceFinder helps over thousands of customers receive relevant quotes from well recommended and professional service providers. Let's deal was founded by the IT entrepreneurs Alexander Hars and Lars Karlsson and offer heavily discounted deals on a daily basis enabled by the power of collaborative consumption. Ebok.no offers consumers e-books and audio books that can be consumed across all digital platforms. 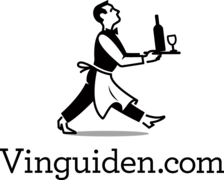 The service was relaunched October 2013. Markets: Norway, Sweden, Denmark, Ireland, Austra & Brazil. EasyAd offers a automated DIY system for ad creation, to both publishers and advertisers. Customers include Dagbladet.no, Afteposten.no and Ekstrabladet.dk. EasyAd also offer an automated upsale and distribution system for classified sites, customers include Blocket.se, DoneDeal.ir and Bomnegocio.com. Suredo.se helps consumers compare and choose car insurance based on thier needs and pre-requists. With Elpriser consumers can compare home electricity providers and choose the one most suited to thier needs. Klart.se is a weather service that presents weather in an easy, quick and accurate way for over 20,000 locations and golf tracs in Sweden and 180,000 more places around the world. Lendo offers consumers a free service for comparison of consumer loans and acts as a marketplace and broker of consumer loans, for banks. Kundkraft helps it's members to lower their electricity bills by offering a collaborative procurement of home electricity. 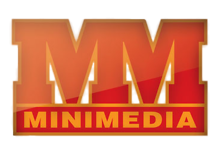 MiniMedia is produces and distributes digital branded content and advertorials. Destination.se gathers hundreds of thousands of travel destinations from the leading travel agencies, hotels, airlines, charters and car rentals and helps you find and book the best option quickly and easily. Acquired by Reisegiganten in 2014. Webtraffic has grown to become one of the biggest networks for online and mobile advertising in Sweden. Today, Webtraffic is a part of Schibsted Sales. TV.nu offers a simple, quick and personalized digital service, a new type of TV-guide. Prisjakt is an information and comparison service that helps consumers find the lowest prices and the products most suited to their needs, from the best retailers. www.resdagboken.se is an online travel community. Acquired by United Sites of Europe in 2012. Mötesplatsen is an online dating service with over 140 000 active members in the Nordics. 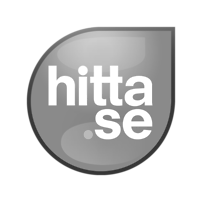 Hitta.se helps Swedes to find companies, persons and places every day by providing addresses, phonenumbers, industry listings, maps, directions, street images, satelite images etc. Blocket.se is a service for classified ads online. It's also a marketplace for real estate, jobs and shopping. The Blocket concept has successfully been launched on several markets globally. Today Blocket.se is a part of Schibsted Marketplaces. Bytbil.com is a marketplace for cars, vans, caravans, motor homes and motorcycles from outlets and garages. Today Bytbil is a part of Schibsted Marketplaces.